When will the manatees show up? What will they predict? Find out in my short story “The Manatees,” out now from Betwixt Magazine! 1. 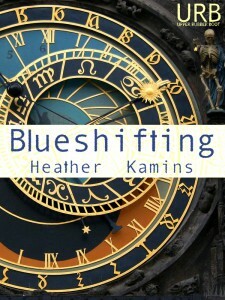 Blueshifting is now available in epub format for iPad and Nook at Barnes & Noble and Goodreads. 2. Here’s a review of Blueshifting from Marissa Lingen. 3. In other news, my short short story “The Brain” has just been published in issue 7 of Pear Noir!